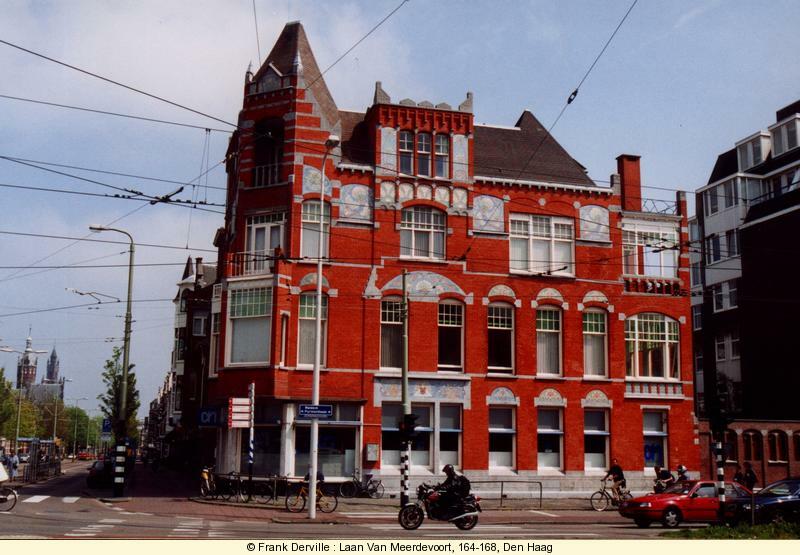 More than 400 Art Nouveau buildings, Den Haag is a must for the Art Nouveau tourist but is seldom pointed out by Art History books despite of its architecture and ceramic firm. 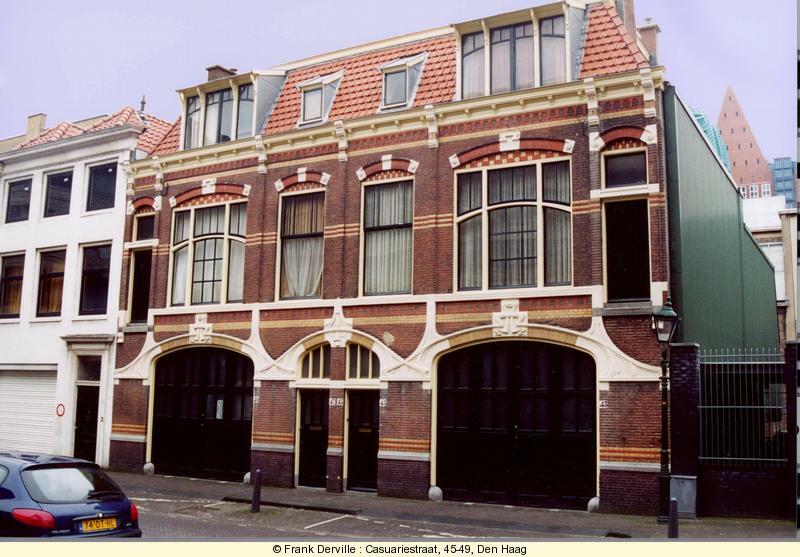 This is the political capital of the Netherlands (the queen has her castle here and not in Amsterdam, numerous European institutions are located there). 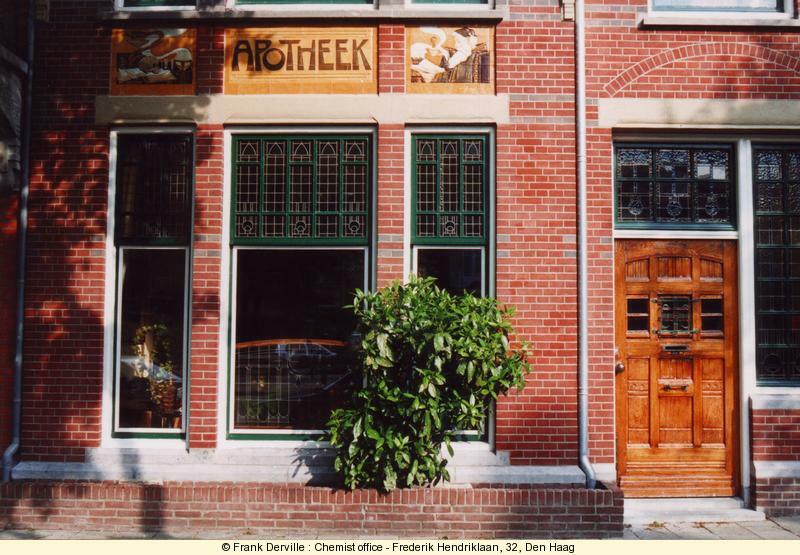 The large developpement of Den Haag was during the Art Nouveau aera, which makes that whole quaters of the town are built in Art Nouveau (e.g. 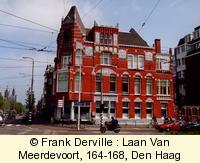 Scheveningen, Staten, ...). 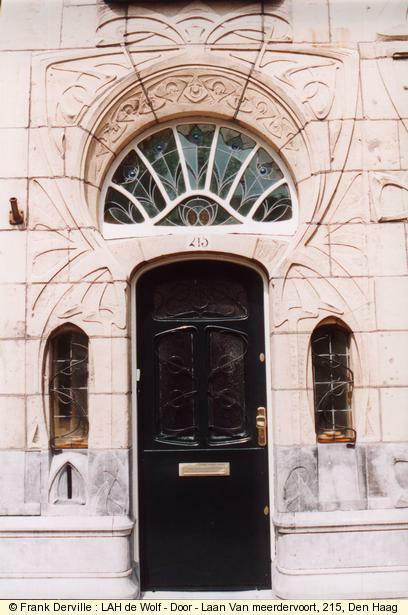 If some UNESCO sources say that Riga is the town with the largest Art Nouveau heritage, it seems that La Haye could rival? 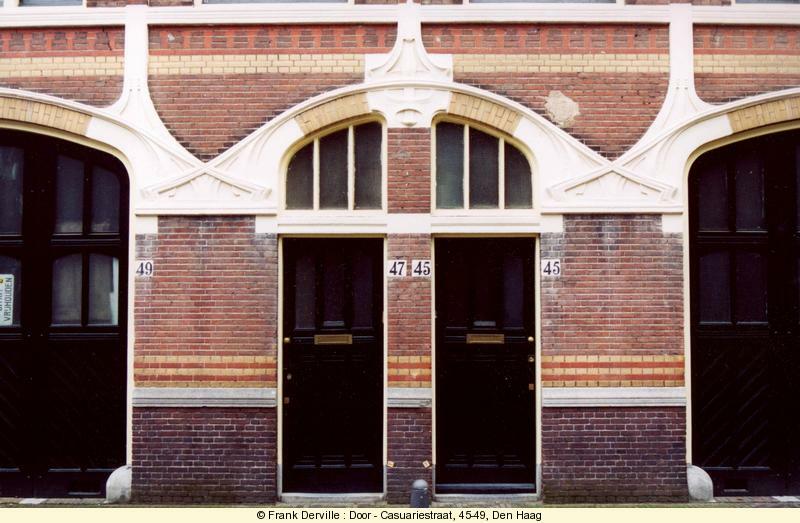 I wasn't able to see all the Art Nouveau buildings of Den Haag I have heard about so be tolerent if my selection ignores major buildings : just let me know by e-mail. 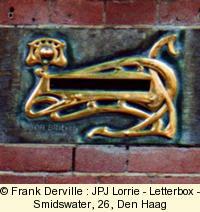 Smidwater 26 by JPJ Lorrie. 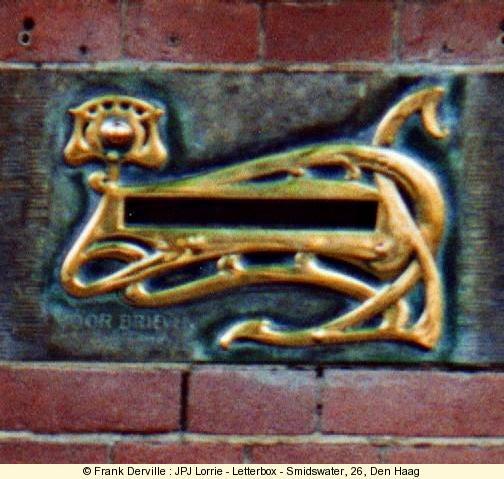 The letterbox is one of the nicest of Den Haag. 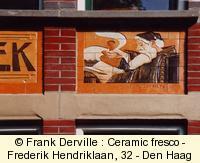 The ceramic work, iron and sculpture work are all of very high level. 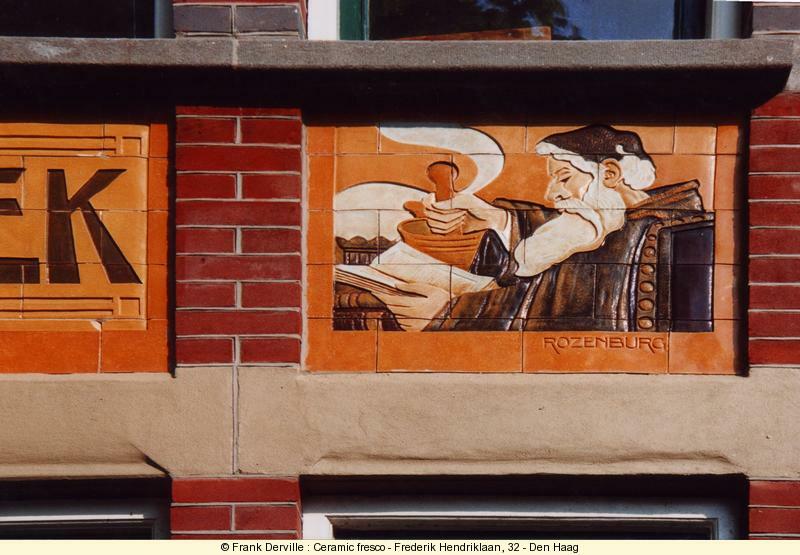 Laan van Meerdevoort, 164-168 : this building, recently restored is covered by these wonderful mosaics. 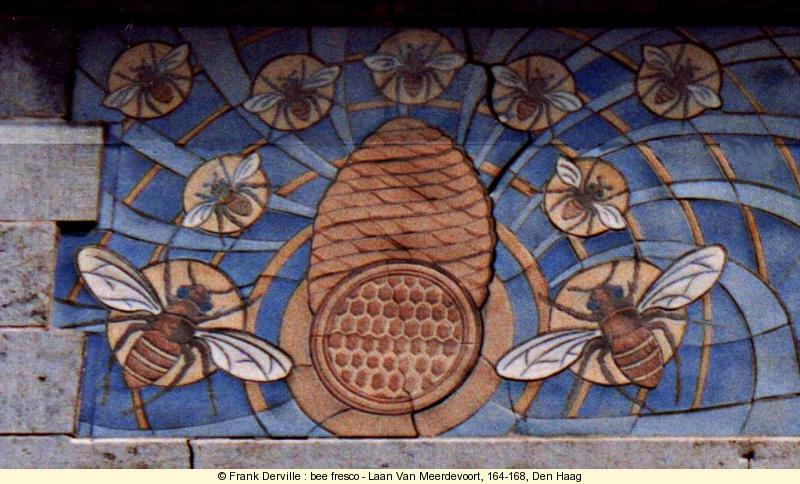 Some have an esotheric meaning, others are more illustrative like aside : bees. 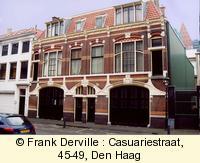 Casuariestraat 45-49 : particularly nice ground floor for this twin house. 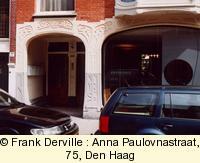 Anna Paulovnastraat, 75 : Housing building with a shop. 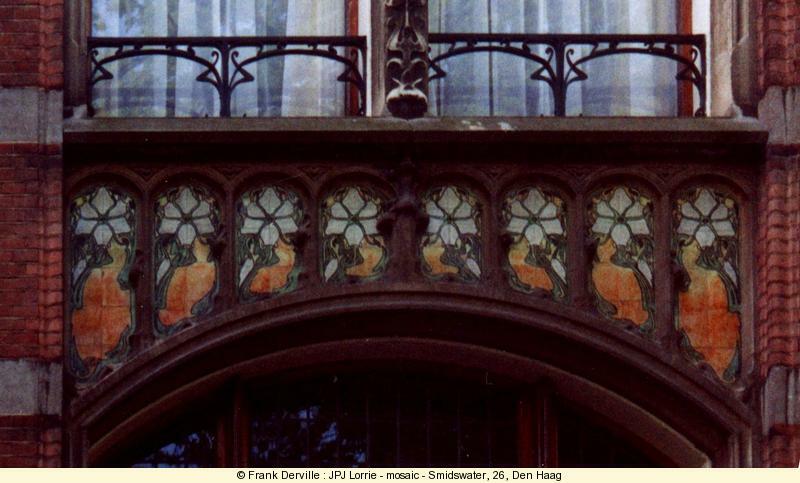 Here notice the schematized flowers and tiges sculptured in bas relief. 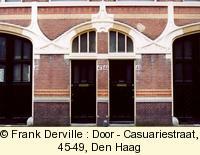 A "B" is identifiable at the bottom of the right pillar but I do not know its meaning. 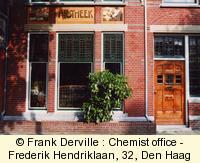 right : a physician making a potion. 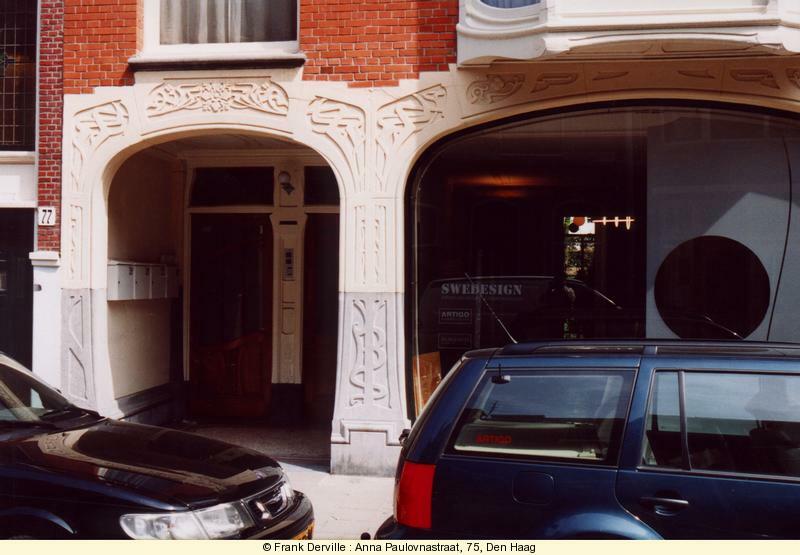 Hoogstraat, 30 by J. Muters : very nice bas relief sculptures on this façade but the stone used was unfortunately not very hard and now the sculptures need to be restored to their original beauty. 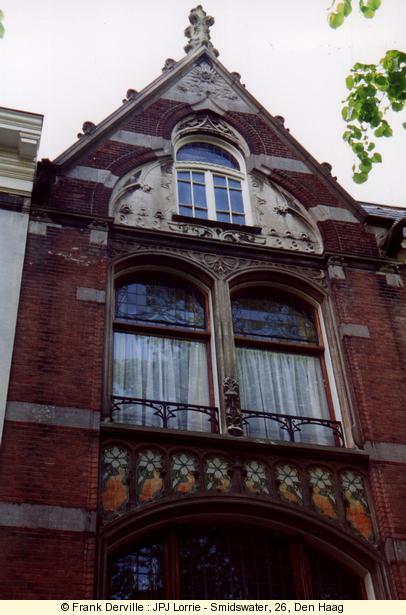 Veenkade 32-33. 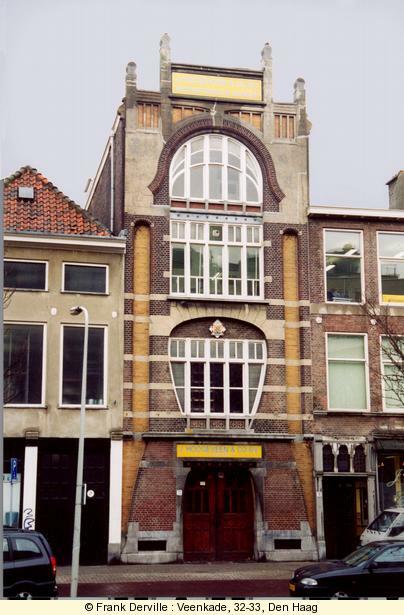 Building that has an interessant vertical effect due to the use of different bricks, relief and composition. 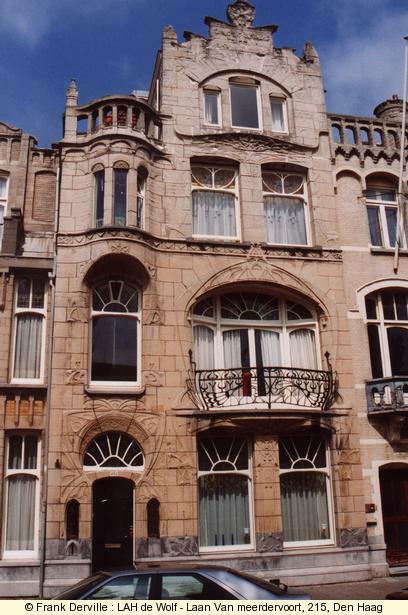 The three large bay windows have different shapes. 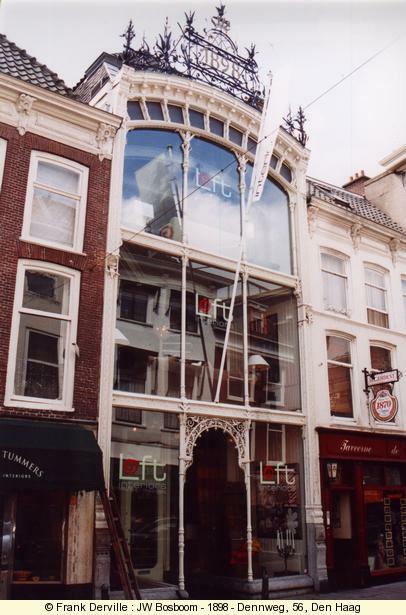 Two iron beams are visible on the façade : the first one above the entrance door, the last one between the second and third floor. 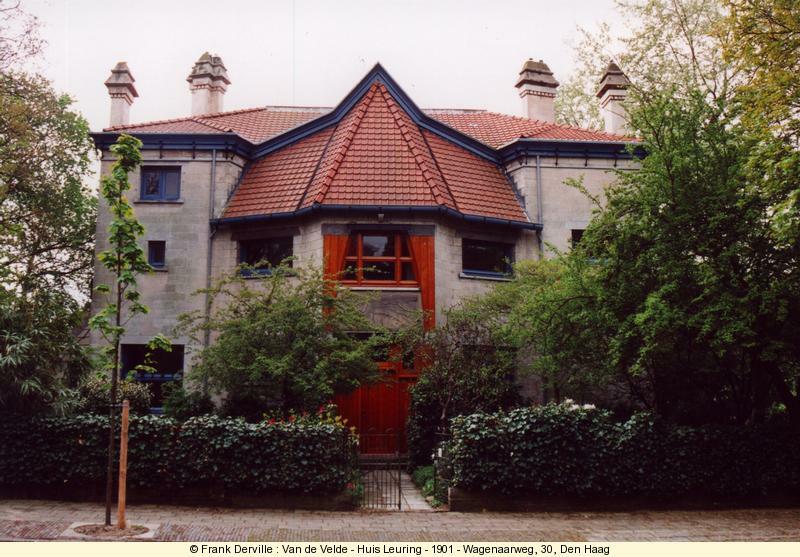 Dennweg, 56 by Bosboom in 1898. 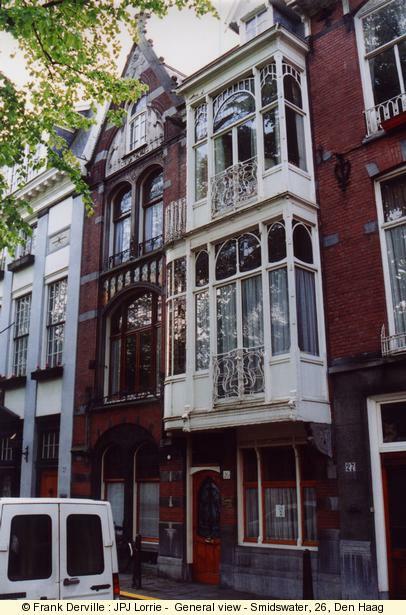 Elegant glass and iron architecture, one of the few remaining of this type..
Huis Leuring by Henry Van de Velde in 1901. 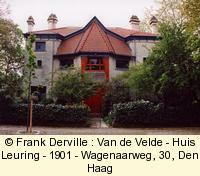 Henry van de Velde is one of the most famous Art Nouveau architect. 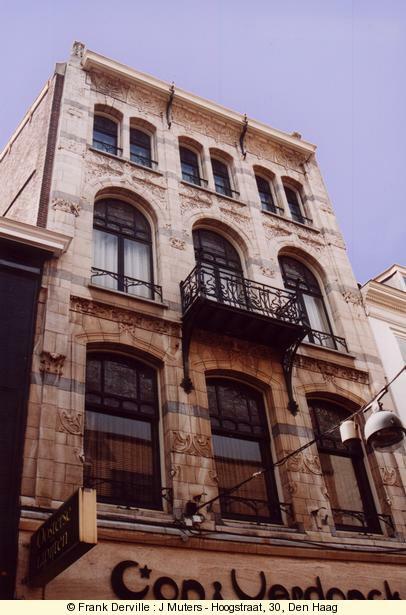 This house is inspired by his first work "Bloemenwerf " in Brussels for himself.